It's a common beauty shopping pattern. You try on a make-up shade at a department store beauty counter. You you're not sure if you like it, or you think you do but you're not ready to buy. The consultant scribbles down the shade on her business card so you remember it or, in recent years, you take a picture of the color name on the item. You might not think about the actual brand again, nor are you likely to remember what the shade was or why you liked it. 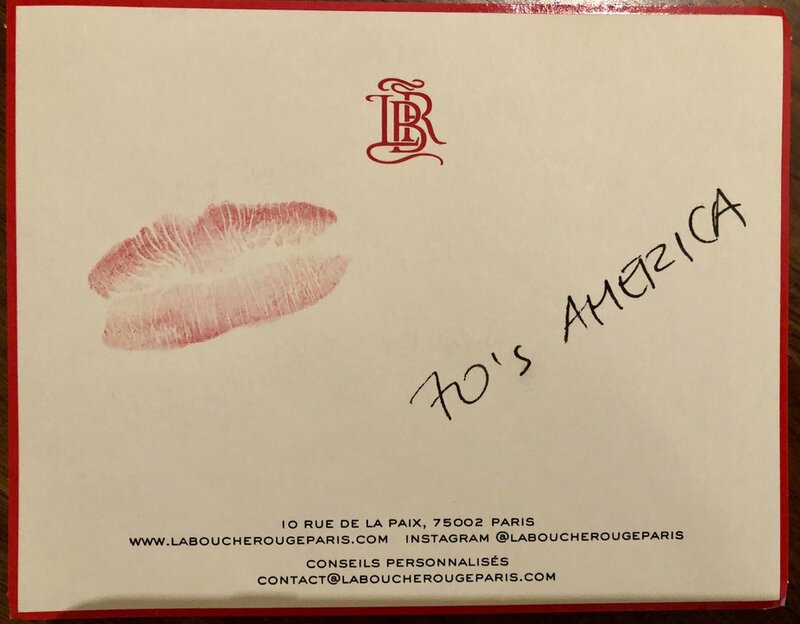 Barneys New York recently launched an exclusive lipstick line, La Bouche Rouge. Merits of the natural, luxuriously packaged cosmetic aside, the brand is smart and simple about the takeaway: In promoting a hashtag, #kissforlife, they give you a thick, postcard-size piece of card stock, have you kiss it with the color you've just sampled, and then they write the color on it. Sweet, memorable, and practical in an era when beauty shopping is fast becoming magic mirrors and augmented reality try-ons. They stop short of an explicit social call to action, which may be intentional, but I can think of several fun activations. For now, I have a cute postcard to keep in my medicine cabinet until I need a new lipstick and it's more likely to help me recall the brand than anything in this vein I've seen before.